Tingling in limbs - hands, fingers or legs - is caused by improper nourishment of the nerves. This can be caused by a pinched nerve, which leads to poor circulation and consequently veins lose oxygen and nourishment . Other diseases (diabetes, heart diseases) can also cause tingling. To prevent tingling, you need to improve blood circulation in your limbs. Kapsamax has nourishing and oxygenating properties. It contains 11 herbal extracts, with spicy capsaicin to warm up and improve the nourishing functions of the veins. 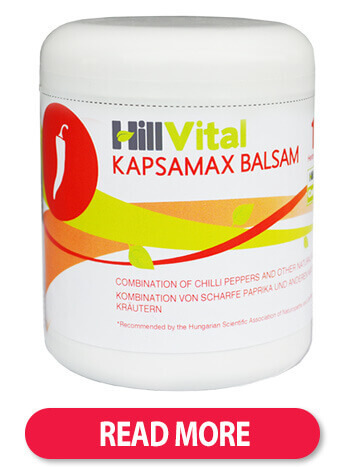 Kapsamax also helps stifle tingling in hands which is often accompanied by pain. 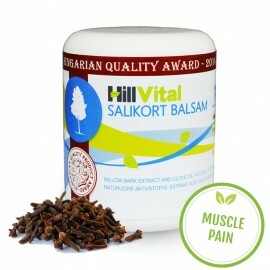 Our natural Salikort balsam offers help with more serious muscle or nerve problems. Our balsam helps improve muscle elasticity and revitalize the functions of tendons and nerves. Salikort’s analgesic properties of herbal extracts help stifle pain. If you feel tingling in your palm, wrist or fingers, you might have carpal tunnel. Besides tingling, carpal tunnel can be accompanied by sensitivity or intense pain starting in the wrist and shooting down the fingers. This pain is caused by inflammation, which Salikort reduces. Support your Kapsamax or Salikort treatment with our herbal tea blend Tea GO. Handpicked Tea GO contains unique ingredients which support musculoskeletal system and help relieve pain. 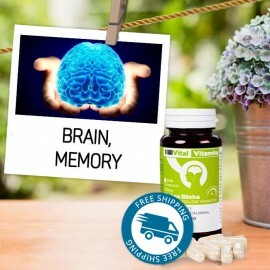 Herbal pain relief to improve quality of life. 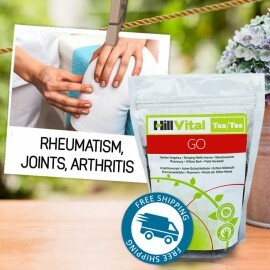 HillVital products contain natural analgesic - Willow Bark, Comfrey and other effective herbal extracts to relieve tingling, numbness, and swelling. The most common cause of tingling is increased pressure on a nerve. Nerves right under the skin or near a bone are the most affected. Pinched nerves don't get sufficient blood flow, which causes tingling. A pinched, malnourished nerve loses its functionality and long-term or chronic cases can lead to permanent damage. Tingling and numbness is often followed by pain and insensitivity. Carpal tunnel and Guyon tunnel syndrome are also common. What can tingling and numbness tell us? 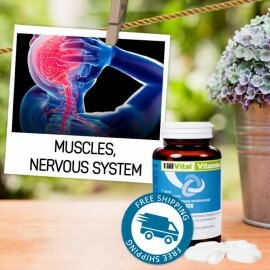 Tingling and numbness signal there is something wrong, such as a nervous or muscle system signal malfunction. What diseases are accompanied by numbness or tingling? Paresthesia or hand insensitivity is less common. Osteochondrosis, multiple sclerosis, hand arthritis, diabetes or heart diseases also cause tingling. How to prevent tingling from recurring? You can prevent tingling in multiple ways. Where should you start? Make sure you sleep on a good quality mattress, as tingling in hands and fingers often occurs at night. An improper sleeping position can also lead to insufficient nourishment and oxygenation of the nerve which can lead to tingling. Walking and regular exercise helps lose weight, clear the mind, decrease tingling and relieve muscle stiffness. Special exercises for alleviating tingling can be a healthy alternative. Hot and cold baths are a traditional way to relieve symptoms. Soak your legs or feet for 25-30 mins in a birch or oak bath water and put gloves and socks on right after.